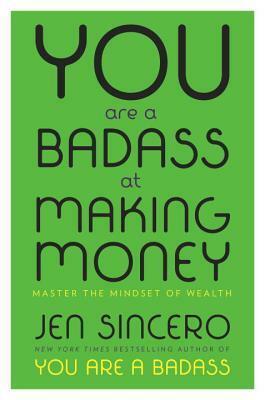 You Are A Badass At Making Money: Master the Mindset of Wealth is a fun guide to help us folks get focused on what we want and to get rich doing it. Jen shares her journey to riches, a hilarious one at that, while telling us readers what we should be doing instead of being mad because we’re broke as hell. Her tips include get focused, know why you want what you want, know what type of life you want, and how much money you will need to have that life. Also, we must feel the feeling of having what we want. Believe me, I am trying all of this now. I am imaging the life I want and the feeling of having it. If you are into Law of Attraction, then this book isn’t anything you haven’t heard before. However, because this book is funny and a positive mood booster, it could be just the book you need to help you on your road to riches. I received an advanced copy from NetGalley for my review. Reblogged this on Tracee Is Here.